Second Life is an online virtual reality game played widely across the internet, where people create characters and can interact in very realistic, virtual communities. A Second Life netizen notified us of a “Next Generation 22 Khordad Protest,” where players’ characters will meet en masse at an agreed upon virtual location. 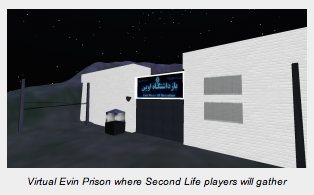 The Second Life activist adopted prisoner of conscience and human rights activist, Shiva Nazarahari, and created a virtual “Action Station” that leads players to send (real life) postcards and send e-letters to various IRI embassies, consulates, and interest sections. For the event, players even have the choice of dressing their characters in shirts with Shiva’s picture. 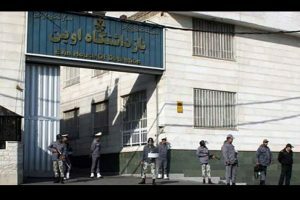 I have been deeply focused on helping put together a new way to show support for the Green Movement and prisoners of conscience in Iran, and all others worldwide who are struggling for their human and civil rights. I invite everyone to visit a new 3D immersive social networking environment for human rights activism: Entre Nous Island in Second Life. 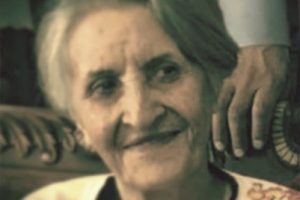 At our Virtual Evin Action Center, we stand in symbolic solidarity with the families of political prisoners in Iran who gather before the real-life prison in Tehran every day, hoping for the release of their family members imprisoned for protesting, blogging, and other expressions of free speech. Inside the action center, you can browse the latest news on Iran, read the real time Twitter feed, learn how to help spread awareness, or watch full-length documentaries and YouTube videos. 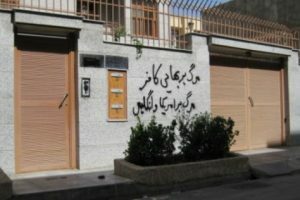 Entre Nous Island will be holding an all-day event at the Virtual Evin Action Center on June 12, 2010 / 22 Khordad, 1389 in solidarity with activists in more than 80 cities worldwide participating in the Global Day of Action coordinated by United4Iran. During the all-day June 12/22 Khordad solidarity event, visitors will be welcome to light virtual candles, share their experiences and hopes with the group, listen to live calls from Tehran on the radio, view documentaries and music videos, and more. Experienced Second Life users will be on hand to assist new users with any difficulties in a safe and caring environment, so don’t be afraid to take the plunge into 3D and join us at Entre Nous. Thanks to all those in the virtual word for making the effort to highlight the case of Shiva Nazarahari by using this medium to take real action. Global Day of Action: 87 Cities and Counting!